Get excited! 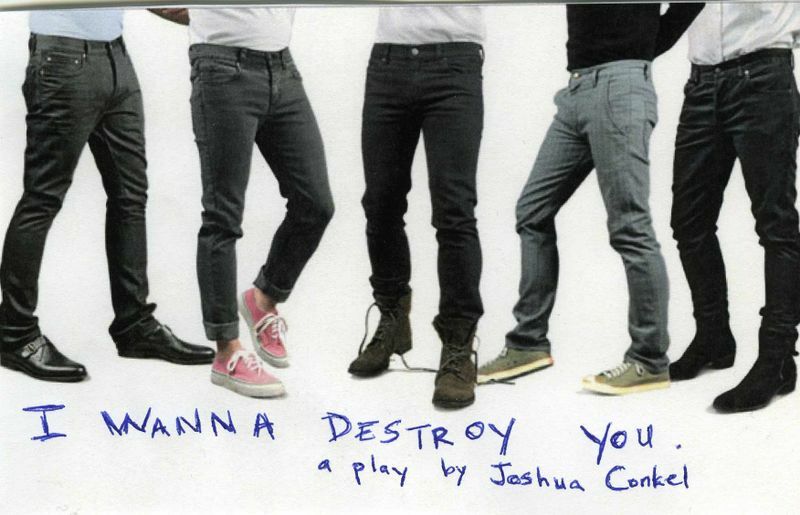 There’s a reading of my play, I Wanna Destroy You, this coming Saturday produced by At Hand Theatre Company. Beau is the gay personal assistant to a famous (and famously demanding) romance novelist, Cecile Collins. His longtime boyfriend dumps him on his 30th birthday, just as he is helping Cecile plan her wedding. When an old frenemy makes a reappearance, Beau must re-evaluate his choices and plans. I Wanna Destroy You is a romantic comedy that tears the trope of the gay sidekick to shreds. This staged reading is being directed by Dan Horrigan and will feature Geneva Carr, Joseph Gregori, Megan Hill, Preston Martin, Bruce McCarty & Devin Norik. It is part of At Hand’s FREE Developmental Reading Series, and seating is available on a first come, first serve basis. RSVP to matt@athandtheatre.com to make sure you get a seat for this exciting piece of new theater!